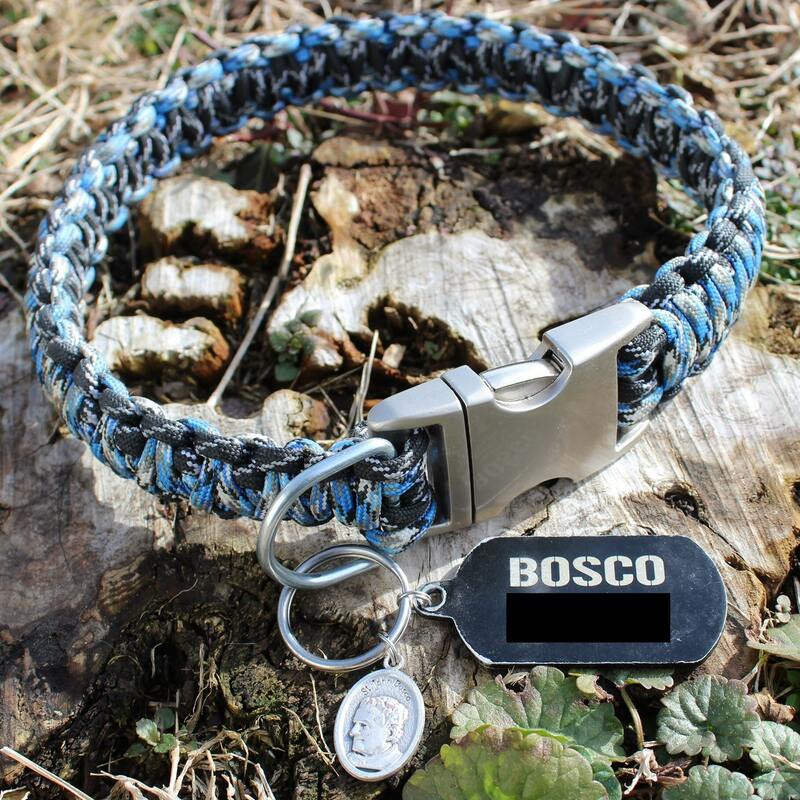 Does your dog secretly wish he had something as cool as your paracord rosary? Well now he will. 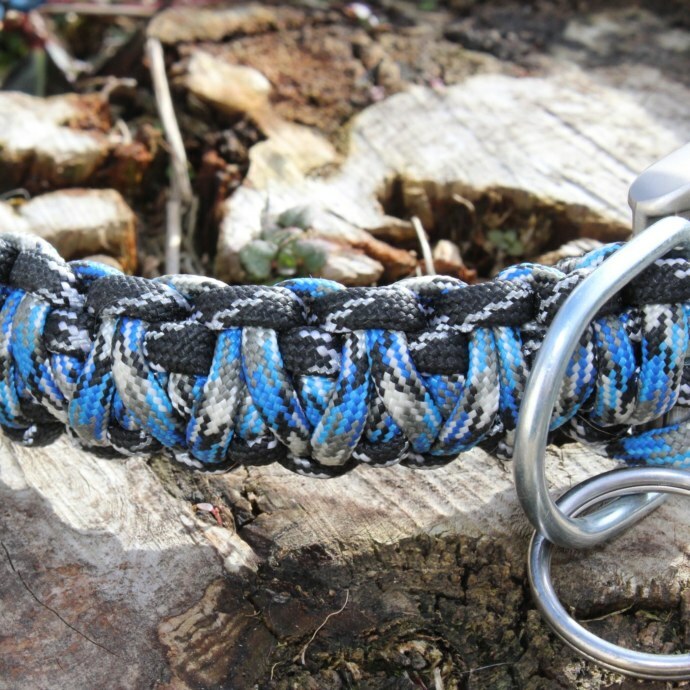 This dog collar uses a “King Cobra” paracord weave, or a doubled cobra weave, for considerable strength and durability. Cord ends are sealed behind the buckle for a pristine finished look on your dog. 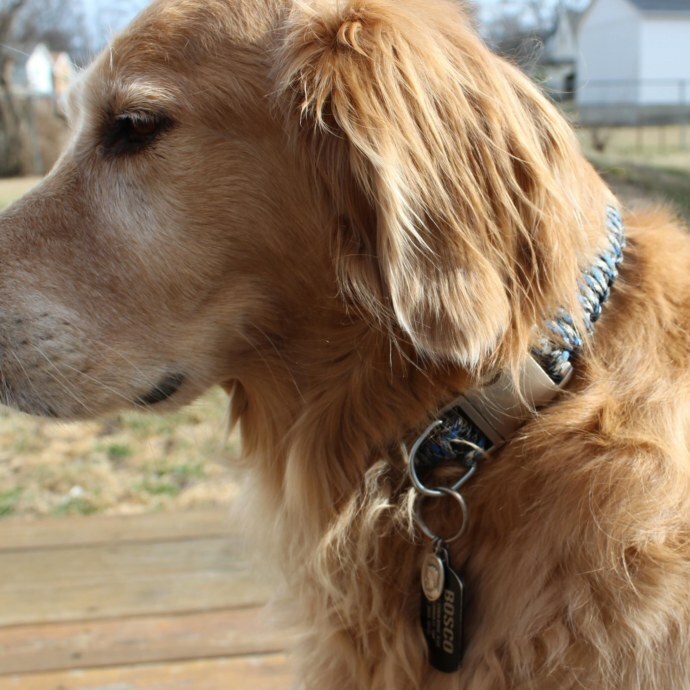 A zinc D-ring and a 1″ welded stainless steel ring provide ample room for your dog’s tags and as many medals as you want to add. 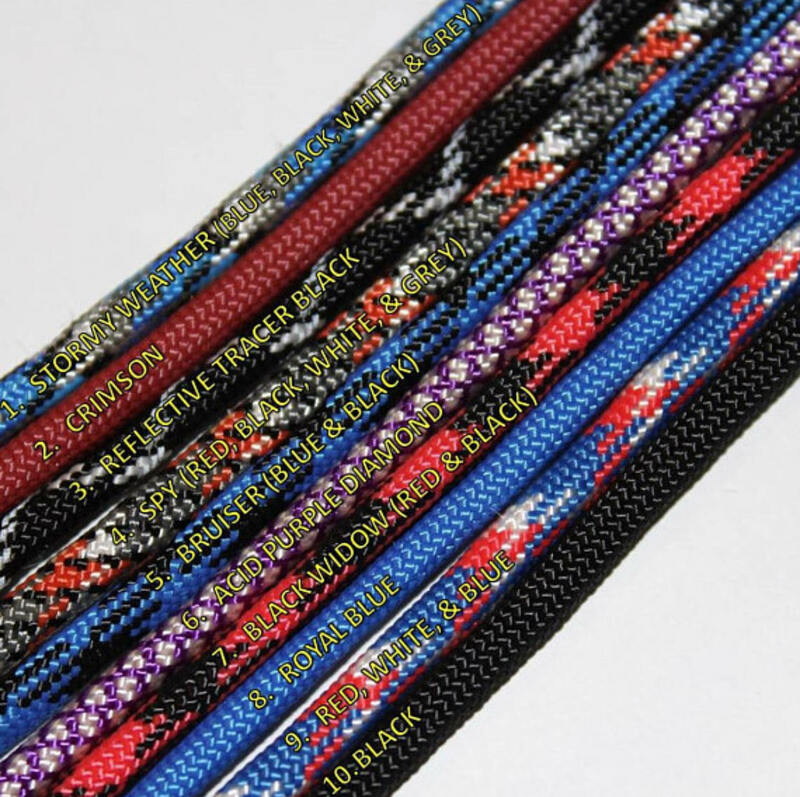 Our paracord is mold, mildew, rot, and UV resistant… washable… and made in the USA! Choose up to two different colors, a buckle, and nearly any patron saint medal. Don’t see the color or saint you’re looking for? Just send a message – we’re happy to have an excuse to add more variety to our shop. 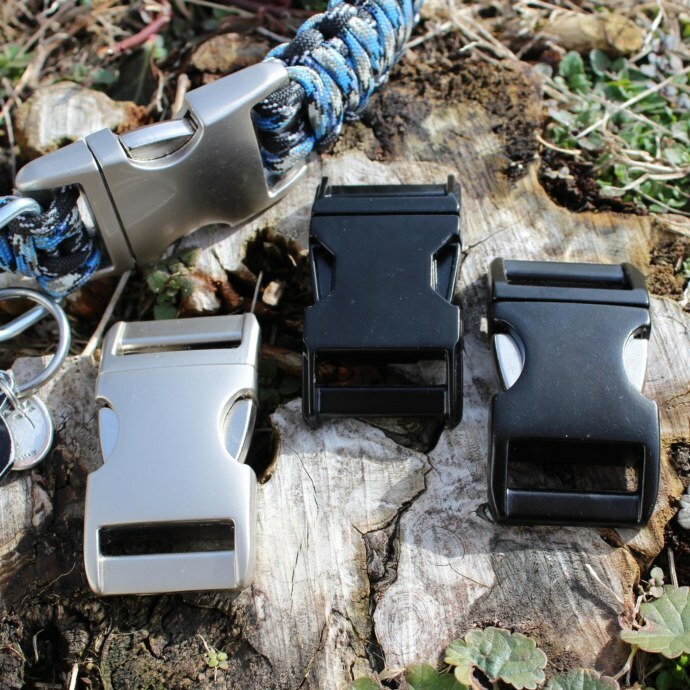 No matter what options you choose, this collar will truly stand out! + When ordering, you MUST include a neck measurement (in inches) for your dog, rounded up to the nearest half inch. Please measure around your dog’s neck, using a soft tape measure, wherever the current collar is worn. Leave enough space for at least two fingers between the tape measure and your dog’s neck. This collar will NOT stretch out – which makes it very important to get an accurate measurement! + Please do not simply measure your old collar from end to end, as the size of the buckles may differ from those used in this design. + Orders without a neck size will be given 72 hours to communicate with Our Lady’s Armory, and if no contact is made, the order will be canceled. + Our Lady’s Armory assumes no responsibility for the buyer’s failure to measure the dog’s neck correctly. 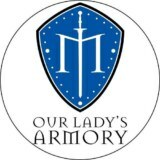 If the collar is too big or too small for your dog, Our Lady’s Armory will ONLY replace it if the collar differs more than 1/2″ from the size communicated by the buyer. The buyer must return the original collar before a replacement will be sent. + This collar is not adjustable! If your pup is still growing, please be aware that you may need a new collar in a few months. + TO WASH: Use warm water with a mild detergent. Scrub gently by hand or with a bristle brush. Rinse with clean water and air dry. DO NOT USE BLEACH. DO NOT APPLY HEAT, as this will cause the cord to shrink.